Hello my dears! I am still fighting this awful sickness, and I'm so sorry it's been so long between posts lately. I haven't been eating much, nor had any energy for nails or blogging. 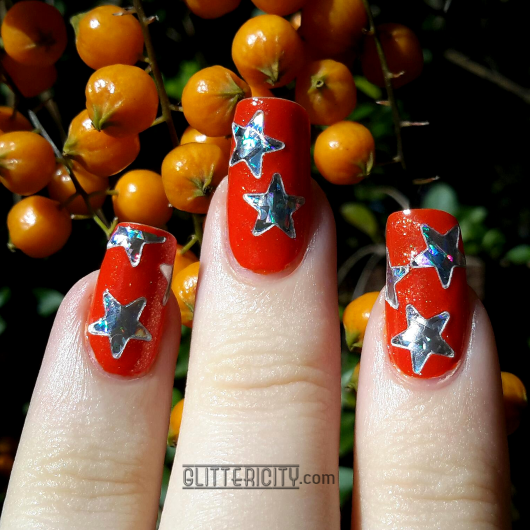 This is two coats of OPI A Roll In The Hague, a pumpkin-orange creme from the Holland collection, plus a coat of Zoya Gabrielle. 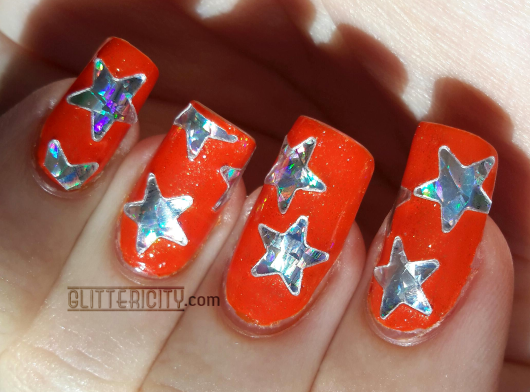 That one's an extremely sheer but sparkly orange polish that looks great as a topper! The stars are just plain stickers that I've had for years. 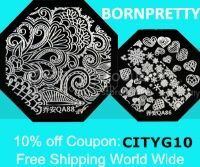 Little silver holo stars that are so nice as nail adornments! 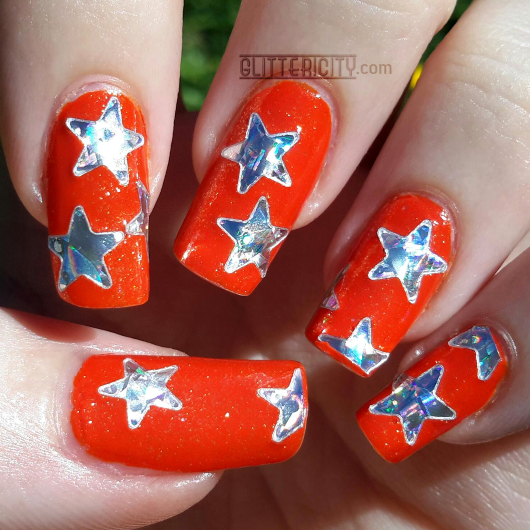 I need to put them over a purple base one day to look like a wizard's hat... but for now I added them to this shimmery orange base and then topped with two coats of Seche Vite to keep them in place.